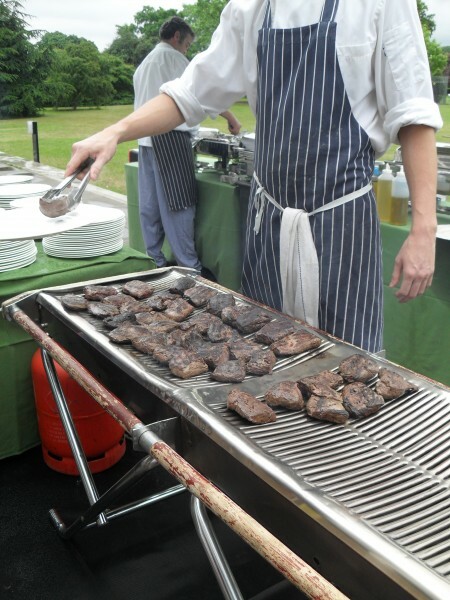 During the recent World Cup fervor I attended a good old-fashioned South African braai sponsored by the Wines of South Africa at the Orangery in Kew Gardens. I’ve recently become a bit of a convert to South African wines and will even drink, *gasp* pinotage. However, it can’t be any pinotage, I do have my standards you know, and it has to be a pinotage with some age on it. I’ve found that pinotages that are from 2007 or older show much better then the young ones. Young pinotages often have that smokey, burnt, pongy quality that put me off of them in the first place and I think they need a few years to mellow out into a more drinkable wine. There were a variety of South Africa’s finest on show, both red and white but the one that took my fancy was the 2007 Kaapzicht pinotage. Kaapzicht means “cape view” and the vineyards are situated in the shadow of Table Mountain in the Stellenbosh wine region of South Africa. The winery is in the Bottelary Hills of Stollenbosch and benefits from an ideal climate to grow grapes as well as cool sea breezes and north-west facing slopes. The vines that the Kaapzicht pinotage comes from are gnarled old vines that produce low yielding intensely concentrated red wines. The 2007 pinotage was a hugely enjoyable wine. I have to admit, I found it hard to believe that it was a pinotage at first as it was not smokey or burnt but rather fresh and full of very ripe berry fruit on the nose and palate. It had some lovely toasty notes to it, reminiscent of cedar box and tobacco. At the braii, we had ostrich burgers and other exotic meats and I found this wine to be the best match to go with all those exotic meats. I’d never had ostrich before so it was a new experience for me. Not gamey but not steaky, I’m not sure how to describe it other then it was extremely flavourful meat and not fatty at all, extremely lean. The meat was not ground so it was akin to having a steak sandwich more then a burger. Nonetheless it was fantastic. There was also a rather interesting malbec but I unfortunately didn’t take notes so you’ll just have to take my word for it. 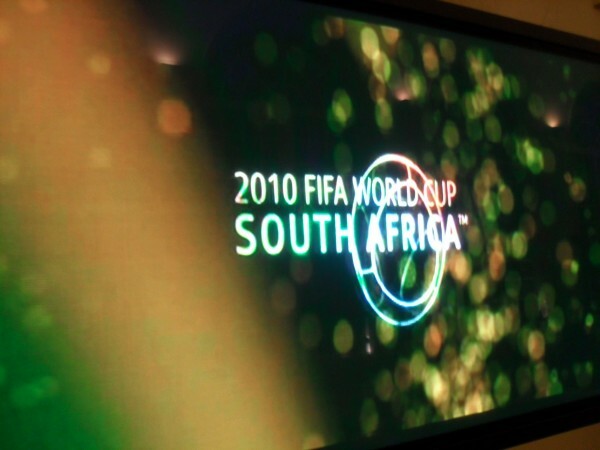 I think I will have to plan a trip to South Africa soon to see what other gems they have hiding over there. Currently retails from Tanner’s for £10.40 and is well worth it! Great stuff. 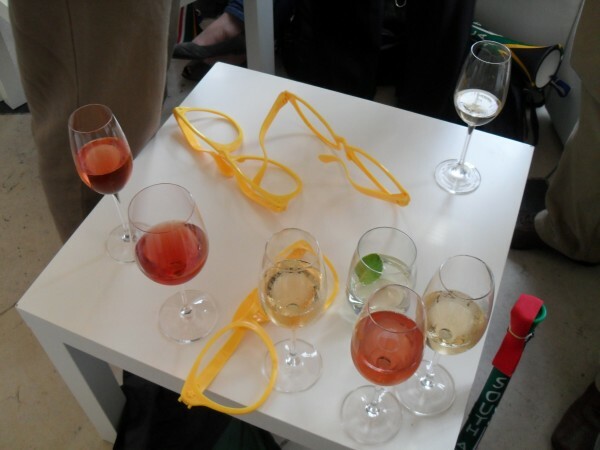 Had the exact same Pinotage-conversion experience, courtesy of the same wine a little while ago! Excellent! Score another one for Kaapzicht, really must seek out their higher end wines, the winemaker suggested I try their Steytler range and I will have to keep an eye out for that or better yet, visit the vineyards! Alas, no email notification that you commented back! Glad I checked, because I can’t recommend the Steytler Pinotage highly enough – did you seek it out in the end? YES you must go to S. Africa, besides being an amazing country, it keeps all the best wine at home (don’t most wine-producing countries though?! )..I even found some splendid young Pinotage while there! Recently I’ve gotten more excited over their Shiraz when it comes to reds…Groot Constantia do a fab chocolatey smooth one, and Journey’s End do a great ‘big boy’ one. Check them out! Thank you for the nice write-up about our Kaapzicht Pinotage, – how refreshing to hear someone say something positive for a change about this grape variety. 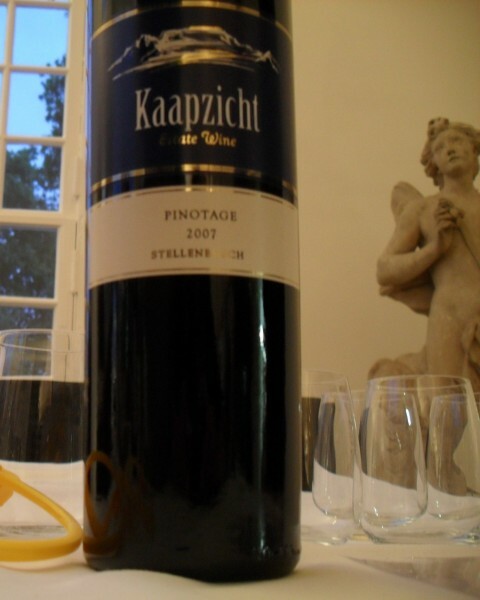 If you can get hold of it try our Kaapzicht Steytler Pinotage, – it’s similar, just much more powerful. And if your curiosity drives you to come to South Africa one day, please visit us and we will show you around and let you taste our range. I have to admit, I was one of the haters in the past but I am finding these older pinotages much more to my liking. I had lunch with the marketing mgr of Warwick not long ago and he told me that SA winemakers are vastly improving their pinotage output so I’m looking forward to seeing these wines hit the UK. Thanks for the invite and I will certainly take you up on that offer when I get down to Cape Town -one day soon, I hope! Sorry to be a pedant once again, but it’s a “braai”, not a “braii”.